Tell us a few words about yourself. Where were you born? Where did you study? I was born in Ireland and grew up on a farm in the middle of Ireland with my 2 brothers and parents. 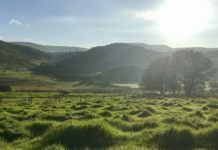 My dad kept cattle and sheep. We also had a couple of horses along with a tillage farm. I went to Trinity College Dublin for 4 years and graduated with a BA in Natural Sciences. How did you enter into the world of polo? 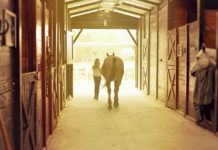 I have always ridden horses since the first time I can remember. We lived next to a stud farm and when I was young my mum said if ever I was missing I could be found down there! Mum and Dad bought me my first pony Katie when I was 9. She was fromf a racing pony breed so was very fast and we enjoyed lots of success in competitions. I hunter trialled, hunted, evented, pony clubbed…. everything you can imagine! There was a polo club down the road from where I lived. When I was 18, a friend asked me to help her exercise her ponies and that was when I got hooked on polo ! Was it difficult for you to start learning to play or was it challenging for you? I started playing competitive polo about 2/3 years later after becoming passionate about the sport. It was difficult to start playing as we had no horses and I always had to find horses to borrow. Luckily there was always one tournament a year I could relax and know that I could always play which was the ladies tournament in Polo Wicklow. Both my younger brother and father also started to play then so there was always an issue over who was playing in the next mixed tournament! Sport has always played a huge part in my life. In primary school I played Gaelic Football for both the boys and girls teams. In secondary school I had great success in hockey, getting trials for the Under 16s, Under 18’s Munster squad and reaching the Senior ‘A’ team by the third year. 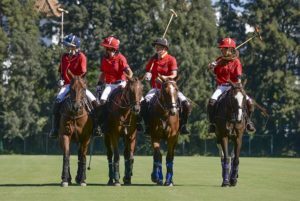 When I left school I started playing tennis and fell in love with it but then polo took over! 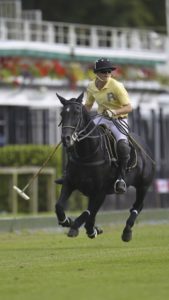 Polo that combines a stick and ball with horsesh, is the ultimate sport. It is so challenging. It is so much about tactics and angles. 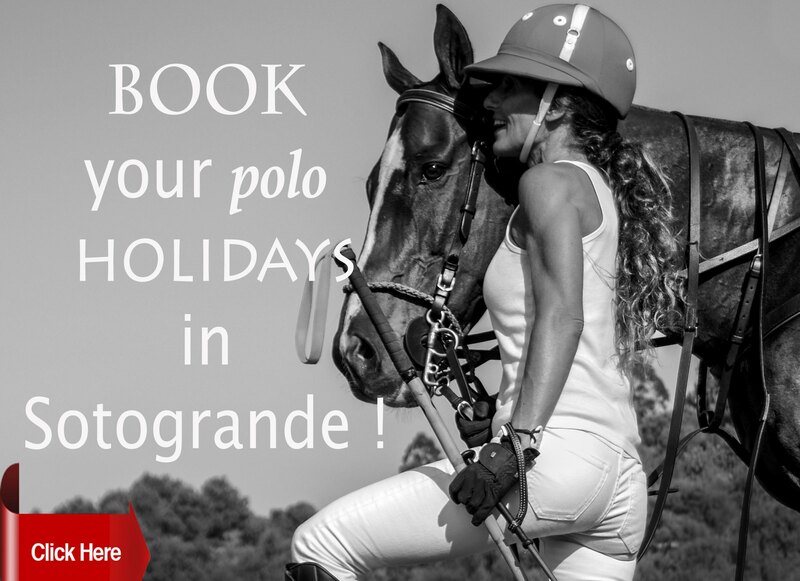 The speed, the adrenaline… everything about polo is just spectacular! It is hard to do well in polo and that is also why I like it. Do you remember your first tournament? Where was it? How was it? How old were you? I don’t really remember my first tournament! I think I would have been 19 and it was definitely in Ireland. I was probably the happiest girl in the world when I got to play my first competitive polo match! Who helped you the first few steps? Who inspired you? Eva Bruhl (2) (GER) She has been so helpful and good to me over the years I have known her. She is a fearless competitor and a fighter when she plays. She is just fantastic to me! in itself. 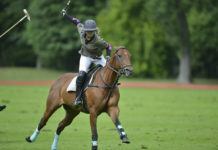 The fact that she has made it to 10 goals in women’s handicap is huge for women’s polo, showing that it is possible. I have so much respect for her and the work she puts into the sport. In Ireland to train during the season, I would normally go to play chukkas in Kildare on Tuesdays and Thursdays. I would school ponies Wednesdays and Fridays and then at the weekends I play in tournaments. Do you prefer women’s polo or mixed polo? 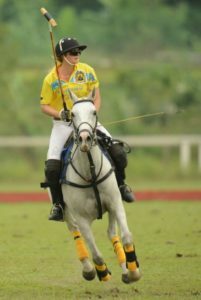 I enjoy playing both men’s and women’s polo. 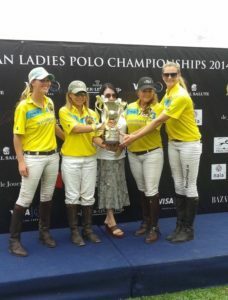 I like women’s polo as we are all on a level playing field. Men will be able to do things that women just physically can’t, so I like that when we play women’s tournaments, you don’t have that aspect. I really like playing mixed polo too though. I love watching good men players play and what they can do and their level of skill. It is a totally different game between the mixed and women’s games. You have totally different roles to play, but both are challenging in their own right so I have equal appreciation for both. What do you want to achieve in polo? II would like to get to be the best player I can be and keep learning from as many people as possible. This year my handicap moved from a 0 to a 1 so I’m excited for the challenge of being a 1 goaler! This year in Ireland I was awarded the Hugh Dawnay “Playmaker of the Year” award. This is the first time a lady player has been awarded this trophy so I was very honoured to have been presented it. The team I was playing on, ‘Tyrone’, also received the award for the best high goal team in Ireland for 2015 season. Both awards were presented during the Irish Polo Awards in Dublin on 11th December 2015. 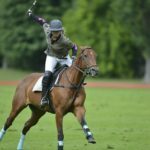 What do you want to change in women’s polo? I don’t think there is anything I would want to change in women’s polo! What is it like for you to be a woman in the man’s world of polo? I find being a woman in a man’s world of polo, you have to doubly prove yourself. I do feel that when picking teams, people are more inclined to choose men over women, even if both the man and woman share the same mixed handicap. When you go to a new club, sometimes I think you are overlooked because you are a lady player and until you play and show that you can compete and put the men players under pressure, they have little respect for you as a player. 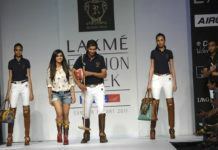 Though in a way this is good for women’s polo as it encourages women players to push themselves harder. 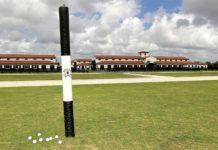 Do you think polo is a sport or a hobby? Polo is a sport for those that make it their life and a hobby for others who don’t. 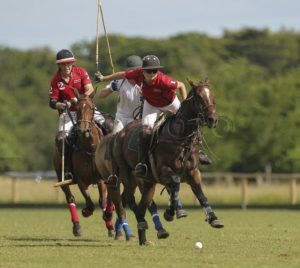 Is polo a team game or does every player play for himself/herself? 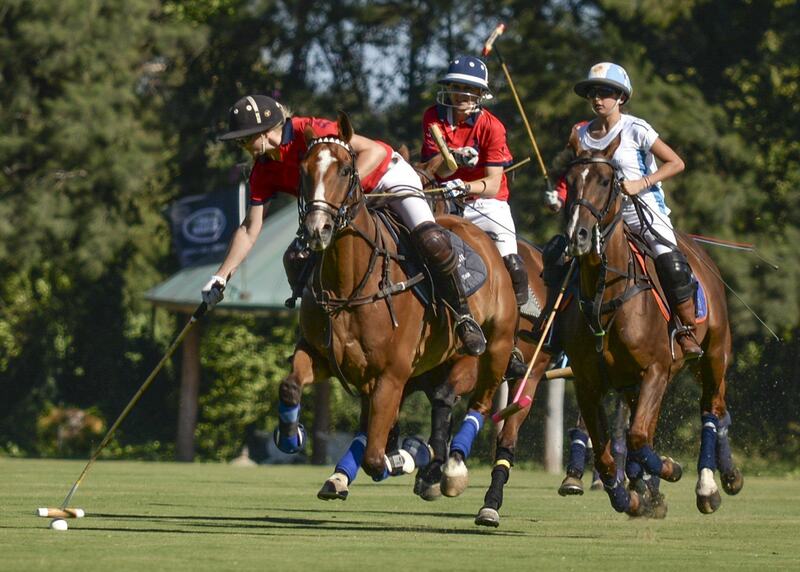 Polo is for sure a team game. This is another reason why I love it. It is difficult to win playing ‘every man for himself’. You have to use every player you have on the field if you want to increase your chance of winning. Do you travel? Where would you like to be the most and why? Yes I travel a lot for polo and have been lucky enough to do so. I have played in Argentina, Australia, New Zealand, Malaysia, Ireland, France, Holland, Spain, Italy and Germany. In April 2016 we will travel with an Irish Ladies Team to South Africa to play against the South African Ladies. I’m very excited over that! I really enjoy being in Argentina although it has been a few years since I have been there. That is one place I always love to be. I hope to go again next winter! Where you do you like to play most of all? 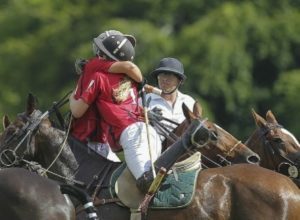 What were your favourite tournaments and favourite polo memory/story? 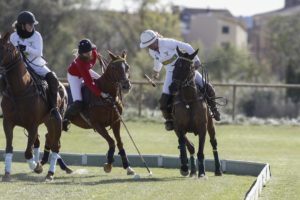 Definitely, the Club De Polo Ampurdan in Figueres, Barcelona has to be one of my favourite places to go for tournaments. Eva Campos and her family look after everyone so well and it is just good fun the whole time! I would recommend anyone to go there if they can. It is a beautiful place with beautiful people. I have met some wonderful women players there also and made very good friends. One of my favourite earlier polo memories was when we won the subsidiary final at the very first French Ladies Open Polo Tournament in Chantilly, France in 2012. This was first tournament I had ever travelled to abroad and some of the best lady players in the world were competing. To come 3rd was an incredible experience for my first overseas tournament and we met the some brilliant people. We played with a team of myself, Siobhan Herbst (IRE), Charlotte Gaurand (FR) and Marie Victoire de Pontalba(FR). Another tournament that was very important to me was in July 2014 when myself and Siobhan Herbst travelled across to Holland for the Dutch Ladies International Polo Tournament which was held in the Vreeland Polo Club. We drove our own horses from Ireland to play. My team ended up winning the tournament. I couldn’t believe it. 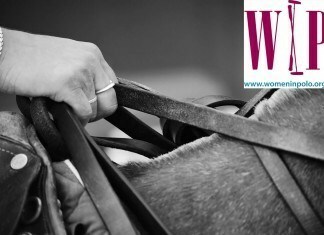 This was the first ladies tournament that I had won and it was a really special time, particularly as it was on my own horses that I had educated. We had 2 days driving across, 2 days playing and 2 days driving home. It was a formidable trip (apart from some little mechanical hurdles to overcome!) but very much worth it. What do you do except polo? When I’m not playing polo (this is usually when I’m injured! ), I work in the family hotel business, the Abbeyleix Manor Hotel, Co. Laois. I’m lucky to have this to work when I’m at home in Ireland. It’s great to work with my mother and brother too! I deal with organising events in the hotel, both internal and external, meeting clients and also help with the marketing of the business. Since I can’t play polo at the moment, due to a shoulder injury, this past winter at home I’ve joined a local hockey team which is lots of fun but I do miss the horse under me to do all the running around! 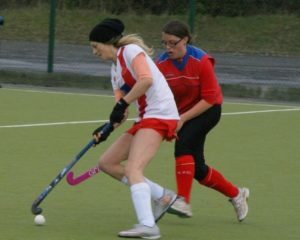 Trying not to ride off opposing players is also a steep learning curve but I am getting back into the swing of it!! You have a farm and a hotel. Tell us about your daily routine on the farm. Who are your clients? How many horses do you have and where are they? Who takes care of them? At the moment I have 4 polo ponies. I look after my own horses on the farm at home. 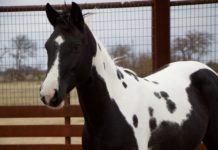 I have 3 of my own Irish Thoroughbreds and 1 older Argentine-bred pony. 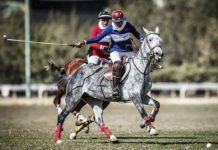 With my horses, during the polo season, I normally work from 7am – 3pm in the hotel and then I have time to tend to my horses in the afternoon/ play chukkas/ school them. Chukkas are at 7pm and take an hour and half to get there but they are worth it! However, because I travel abroad a lot for polo, people frequently ask me about Irish thoroughbreds. Sometimes I help them to find horses from Ireland to take into polo. I was training young polo ponies for a while at home on the farm but because I’m always travelling it’s not ideal to have too many horses, so I sold a couple last season. 4 ponies is a good number for the moment! 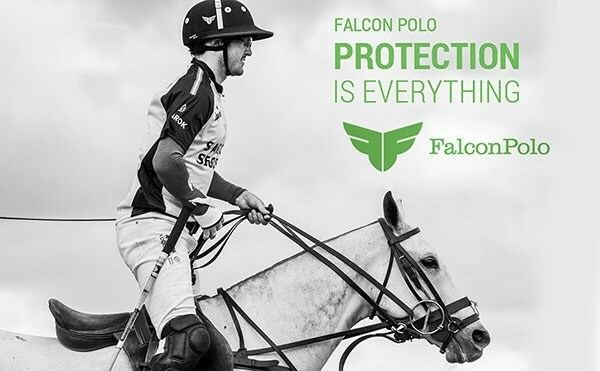 What are your plans for the near future with your farm and your polo? My plans for the near future in polo are to go to New Zealand for a couple of months from January. I will return to Ireland for a couple of days and go to South Africa to play in April 2016. Next summer 2016 I hope to travel to England to compete with my horses. Winter 2016 I would like to visit Argentina, if it is possible and after that perhaps Australia! With the farm I’m not so sure. I don’t see myself settling in Ireland (I prefer the sun to the rain!) so who knows what the future has iIt has to be a world in which people live rather than die a sustainable world.I didn’t want to be a fashion designer, and for a good half of my career I didn’t like it. I always wanted to do other things. It’s the attitude you bring to clothes that make the difference. Everything I do is a matter of heart, body and soul!